(NaturalNews) Men whose diets are high in saturated fat are more likely to develop aggressive prostate cancer than men whose diets contain less, according to a study conducted by researchers from the University of North Carolina-Chapel Hill and published in the journal Prostate Cancer and Prostatic Diseases. Prior research has shown that high levels of blood cholesterol are associated with worse outcomes in prostate cancer patients. 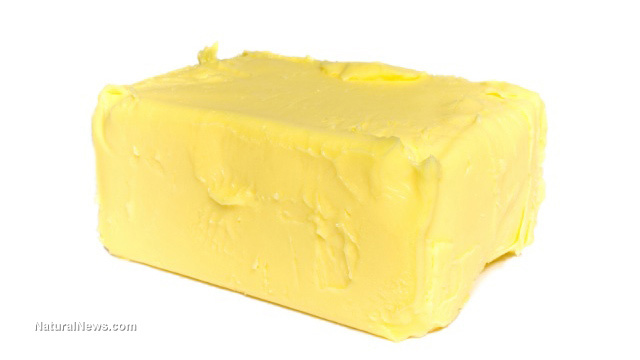 A diet high in saturated fat is the main factor leading to high blood cholesterol. Prostate cancer also is most common in Western countries, which also tend to consume more saturated fat. In the United States, one out of every seven men will be diagnosed with the disease, though most of those cases will not be dangerous (aggressive). The researchers studied 1,854 men newly diagnosed with prostate cancer who were participating in the North Carolina-Louisiana Prostate Cancer Project. Of these, 17 percent had "highly aggressive" cancers. All participants filled out questionnaires on their medications, demographic and lifestyle factors, and diet, which the researchers used to estimate the nutritional content of the men's diets, including the amount of saturated, monounsaturated and polyunsaturated fat. The researchers found that the men with more aggressive prostate cancer on average consumed more calories, had higher dietary cholesterol intake, and got a higher proportion of their calories from fat than the men with less aggressive cancer. A higher proportion of the fat in their diets was also saturated, with a lower proportion polyunsaturated. Overall, people with the highest saturated fat intake were 51 percent more likely to have aggressive cancer than people with the lowest intake. A few demographic factors showed a significant effect on the results. The connection between saturated fat and aggressive cancer was significantly stronger for men of European descent than for men of African descent. Additionally, for men of European descent there was a link between dietary cholesterol intake and aggressive cancer, but there was no such link in other men. The link between saturated fat and aggressive cancer was also significantly lower in men who were taking cholesterol-lowering statin drugs. This many indicate that it was in fact cholesterol directly contributing to increased risk, or it may be due to some other factor. For example, men who are more likely to seek medical care and follow medical advice may also be more likely to engage in habits that lower their cancer risk. Indeed, the connection between dietary fat intake and health outcomes is notoriously difficult to piece apart. For example, people with the highest saturated fat intake are also the most likely to have a diet high in junk food, processed foods, and red and processed meats -- any or all of which might contribute to cancer risk. Furthermore, recent studies have begun to overturn the conventional wisdom that a diet high in cholesterol and saturated fat is bad for your heart. That's why the takeaway message from the study is simply the same advice doctors have been giving for generations: if you want to prevent cancer, eat an overall healthy diet. "There are a number of things that men can do to reduce their risk of advanced or lethal prostate cancer," said Stacey Kenfield of the University of California, San Francisco, who researchers the connection between prostate cancer and lifestyle factors but was not involved in the new study. "Not smoking, having a normal body weight, high physical activity, and high intake of tomatoes and dark meat fish (e.g., tuna, mackerel, salmon, sardines), and low intake of processed meat." About one in eight prostate cancer diagnoses is a false positive, according to a 2010 study in the British Journal of Cancer. The same year, another study found that because prostate cancer is usually so slow-growing, only about one in 10 cases is life-threatening.